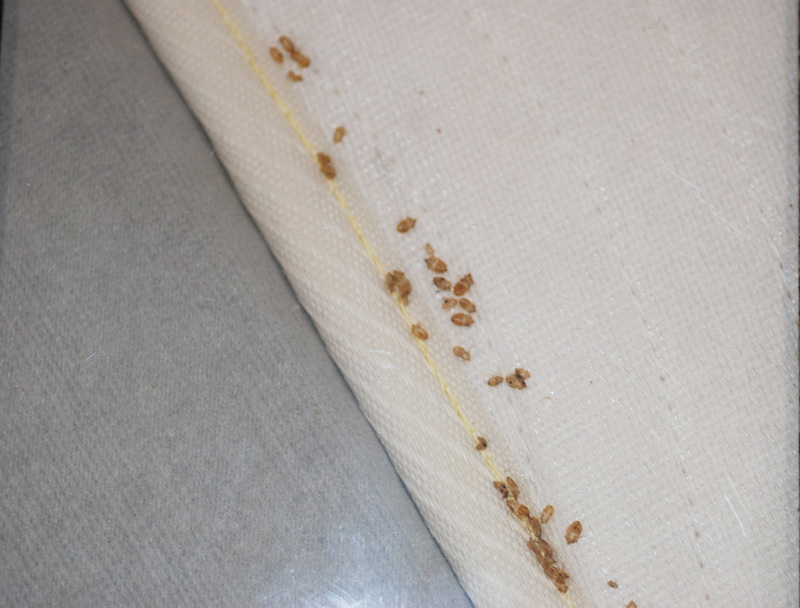 Click here for the most common bed bug questions. Click here for the most common bed bug questions (this site is in Portuguese). 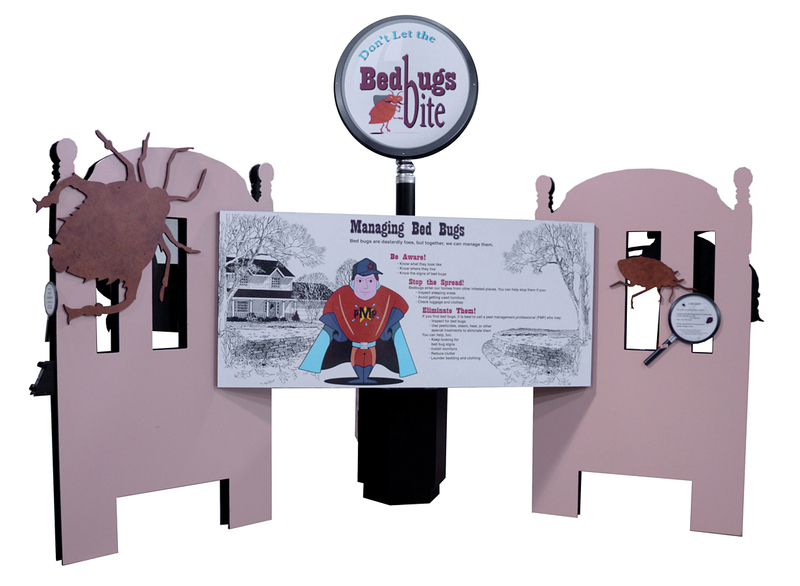 The exhibit, entitled ‘Don’t Let Bed Bugs Bite’ is composed of three major panels describing what bed bugs look like, how to know if a home is infested, how bed bugs feed, and how they can be best managed. 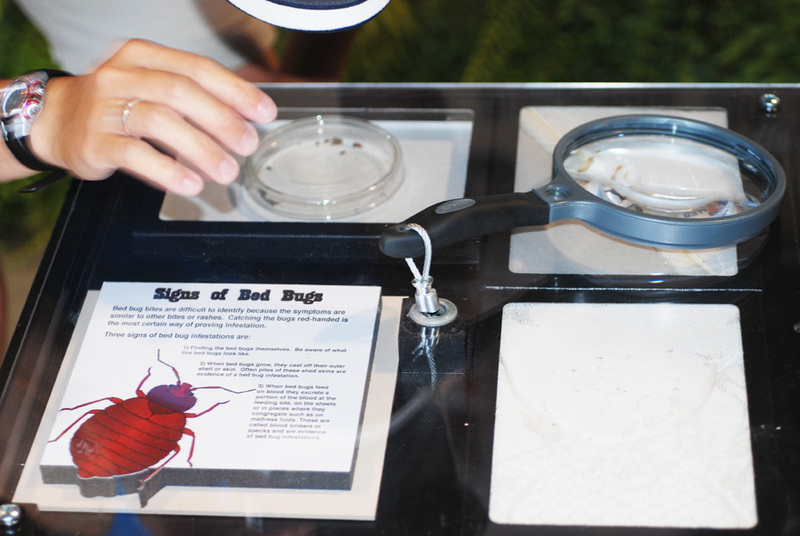 One kiosk features ‘signs of bed bug infestation.’ A tethered magnifying glass allows a viewer to see live bed bugs as well as the cast skins that they leave behind after molting and the blood specks that accompany feeding. Together these are the signs of bed bug infestations. Another panel shows how bed bugs feed and is accompanied by a looping video of a bed bug feeding and a real person. 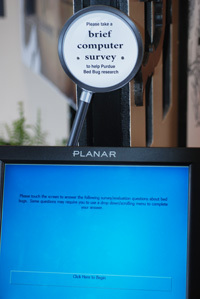 Two touch screen displays feature (1) a short survey of people's perceptions, experiences, and attitudes toward bed bugs, and (2) a fun interactive game that teaches where bed bugs are found in a bed room. The story follows a mother who tucks her child into bed and then returns the next morning to discover that bed bugs have been at work. She calls professional pest control and asks for help. 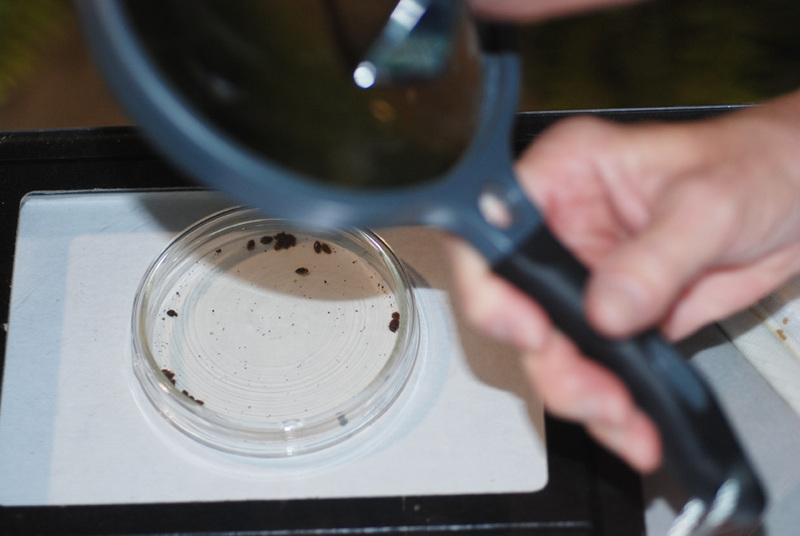 A pest manager show up and suggests inspecting for bed bugs. The game enlists the help of the viewer in searching the room for bed bugs and destroying them when they are encountered. 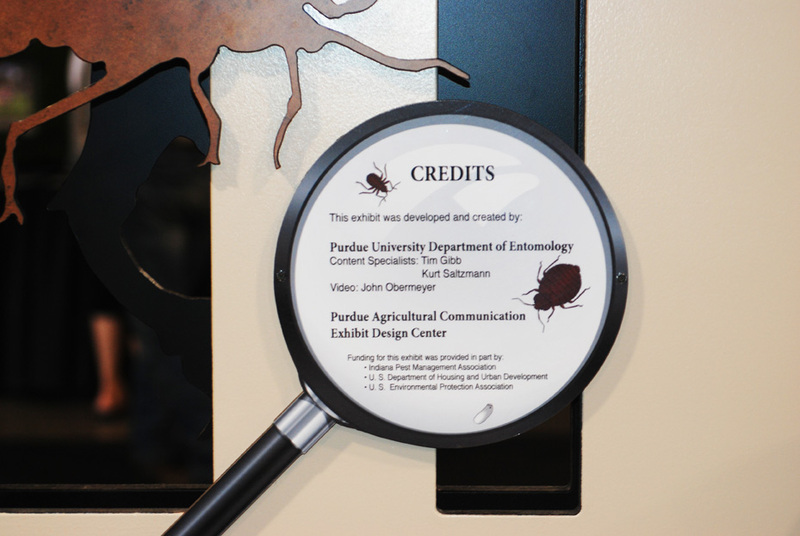 Principles of bed bug inspection are taught along the way. The take home message is one that can be used in homes to verify an infestation or in hotels where a person might plan to stay. In either case, knowing how and where to inspect is key.